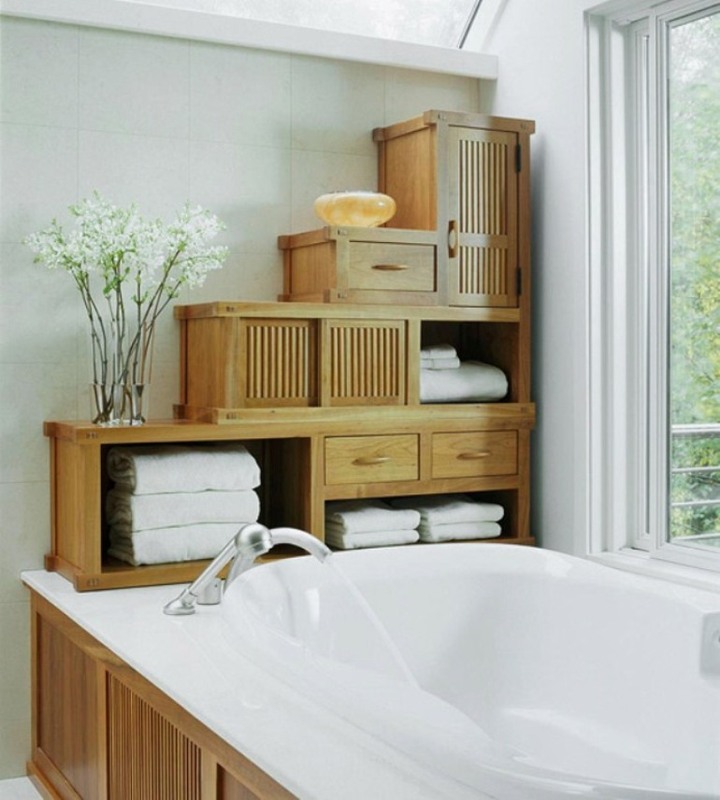 Here's how to use Bathroom storage without making a mess of the room. 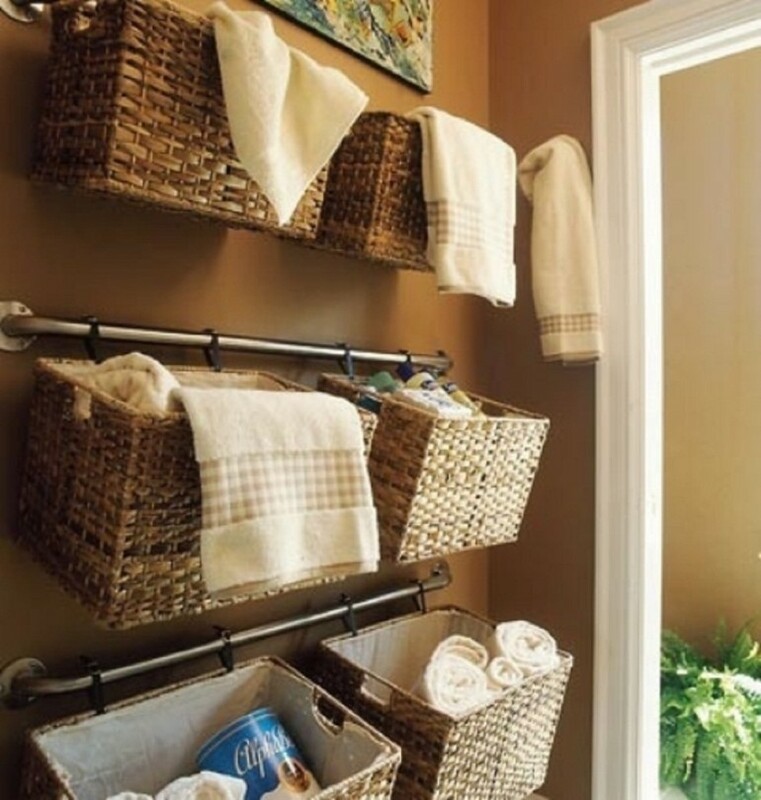 Do you need to get your bathroom storage under control? Is your bathroom organised and ready for action or cluttered and uninviting? If you’re struggling to find the right shelf to display your pretty perfume bottles or are finding it hard to hide the toilet cleaner, read on. Sometimes keeping your bathroom tidy for all the family to use whatever their age can take a little organisation. Having the right storage facilities, whether they are built in or free standing cupboards will make the room much more inviting and enlightening with a little bit of feng shui, instead of shoehorning all the bits into an overflowing cupboard. Always wanting to update and change the look of our bathrooms with the latest ideas, we decided to have a look at ways in which you can disguise, hide and display the items in your bathroom. We hope that you like the suggestions below. This storage space at the end of the bath makes use of an otherwise dead space, with plenty of storage space for a variety of sized items. What do you think the light wood is… perhaps bamboo? 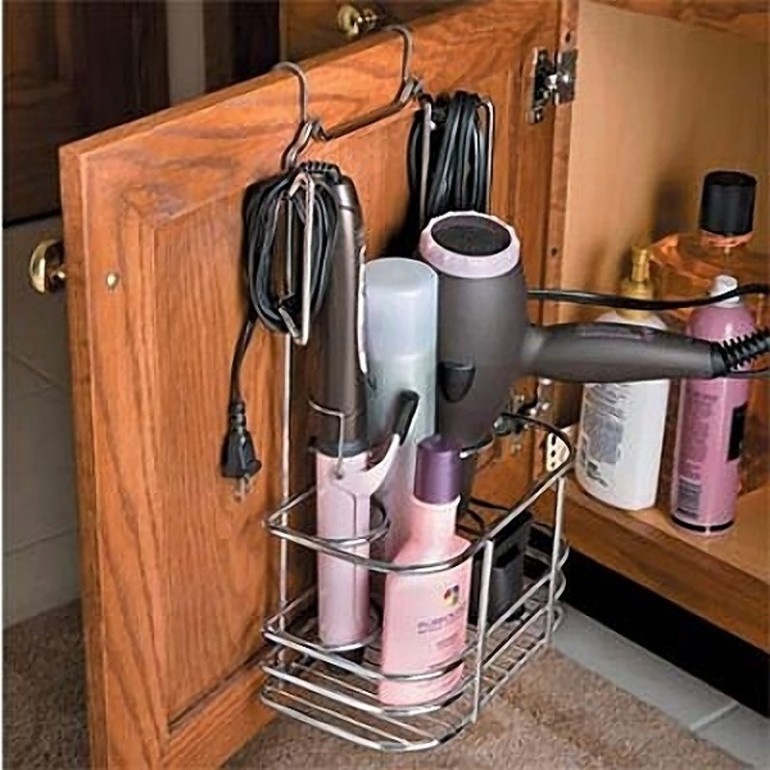 If you don’t like to have free standing items in the bathroom, and prefer to have everything hidden away. We liked this idea form fijer.com of having collapsible sides on the bath. 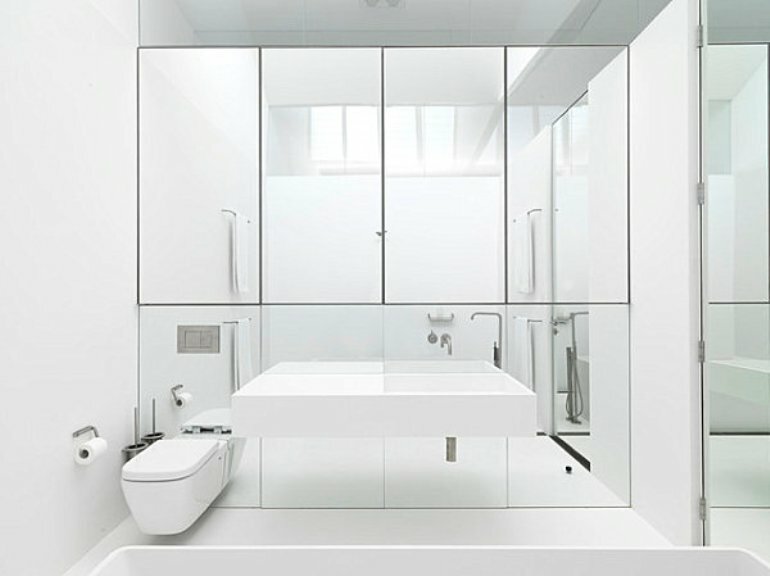 This glamorous bathroom from decoist.com has lots of built in storage for all your bathroom items. The mirrored cupboard fronts make that room look bigger and reflect the light from the window. 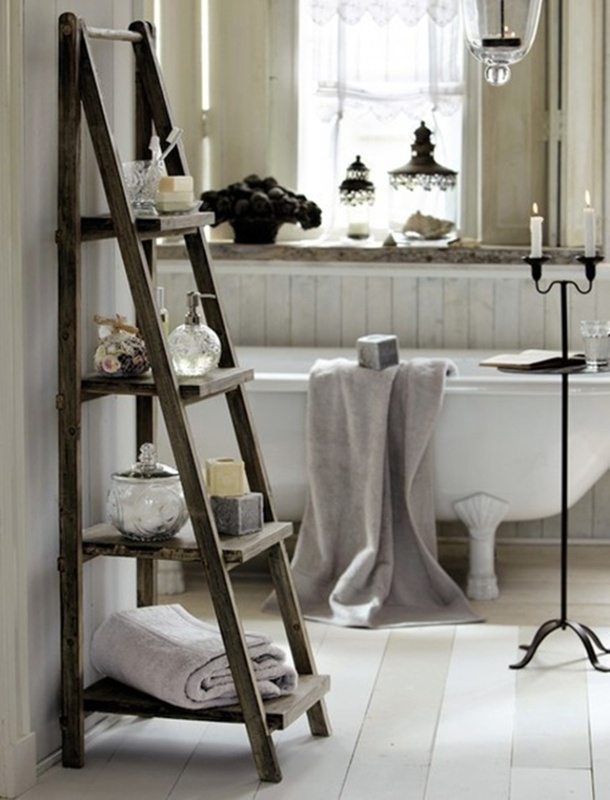 Re-purpose free standing old furniture can be used to accommodate the items in your bathroom. Why not paint it in a colour that fits in with your bathroom décor. 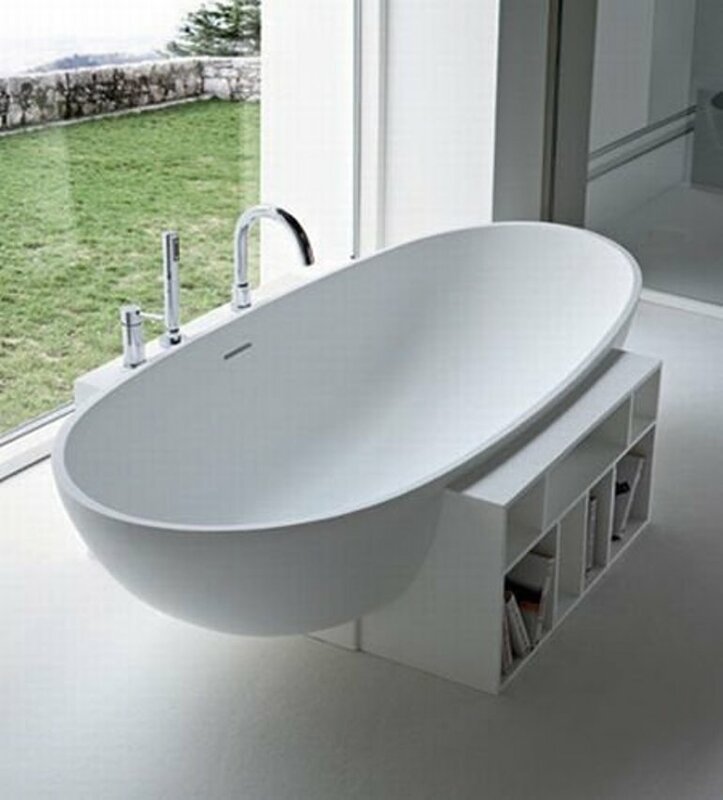 Plain, simple and elegantly shaped bath we found on apartmenttherapy.com which has open storage built in around it. Make use of what would otherwise be unused space above the bathroom door like this from indulgy.com and at the back and above the toilet. For informal storage use raffia baskets hung on poles on the wall. As these we found on Pinterest. Finding an alternative use for an item can be very satisfying. We thought this plastic hanging shoe rack worked well fixed inside the cupboard door from lovelyish.com. If you are storing items that may drip liquids and pastes, a container that can be easily washed out and cleaned is a great help. 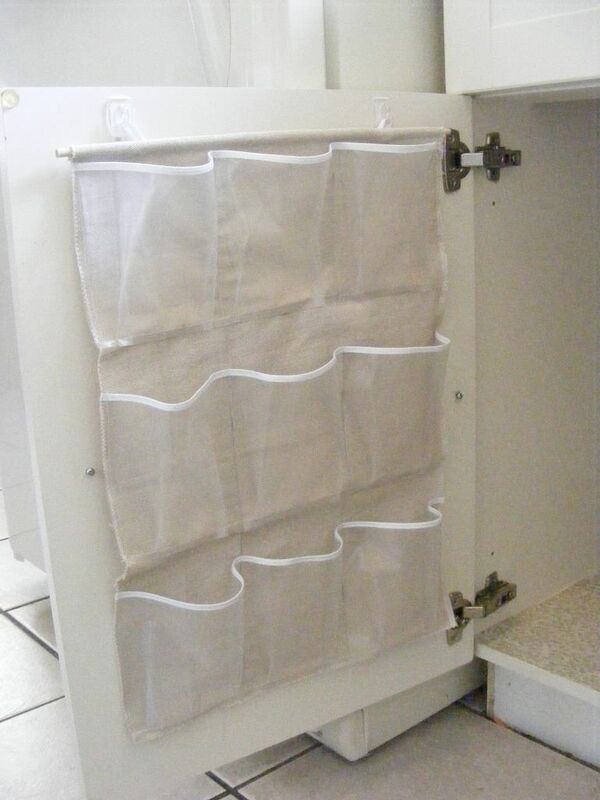 This cupboard door has been fitted with a basket to hang and stand items in. 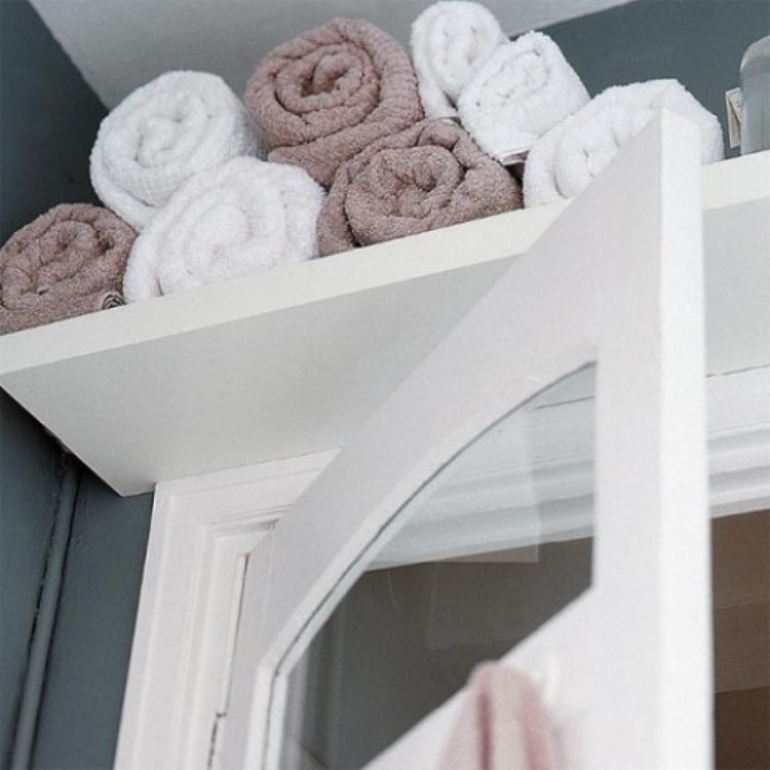 Adapt a ladder like this one from indulgy.com to either hang towels from or add shelves to give you space to stand items. 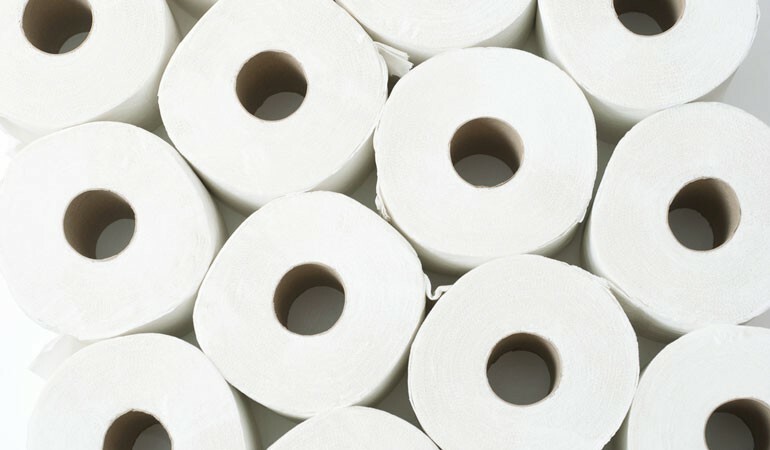 No matter what size our bathrooms are we all seem to have an abundance of towels and toiletries to hide away, so finding the most suitable storage for the items is important. Whether you use glass jars, baskets or the old ladder that has seen better days, storage ideas and solutions for the smallest room in the home are endless. If you see something that you would like to use, adapt it for use in your home. We hope that we have given you some ideas on how to keep your bathroom tidy. 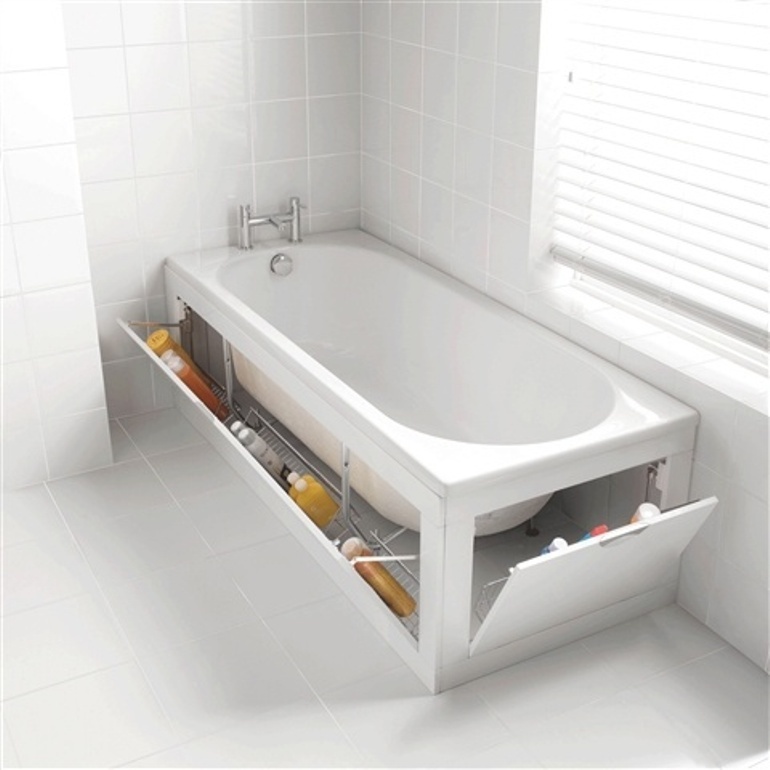 Do you have any special storage features that you have in your bathroom that you would be happy to share with us?